What’s Included with the Gut Health Kit? Why Is This the Best Nutritional Support for the Gut? What Are the Top 3 Questions People Ask About the Gut Health Kit? Cleansing your gut is the first step to resetting your gut. 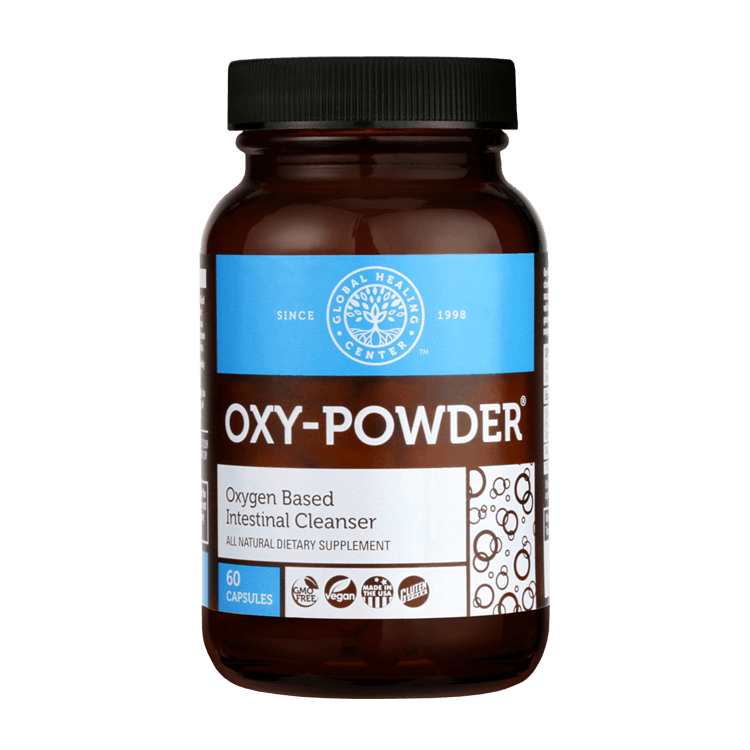 Using the power of oxygen, Oxy-Powder lays the foundation for a peaceful, harmonious gut environment by gently flushing the digestive system of waste and toxins. Within your gut lives your microbiota—the community of helpful bacteria that supports digestion, your immune system, and overall health. Floratrex combines diverse probiotic strains with prebiotics to create the ultimate formula that will balance and strengthen your microbiota. Enzymes are a crucial part of the digestive process that help break down food and release nutrients; without the right enzymes, digestion can be slow and inefficient. 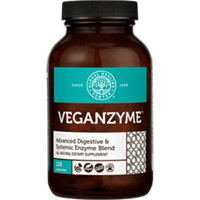 VeganZyme is a blend of digestive and systemic enzymes that support digestion, gut health, and total wellness. An unhealthy diet that includes refined sugar, artificial ingredients, GMOs, and other toxic food additives can inflame and irritate the gut lining and promote the growth of bad bacteria. Aloe Fuzion is high in acemannan—the active ingredient known for its unique ability to soothe and support digestive health. The gut is literally the very core of the body. A strong gut is critical for good health, and every part of the gut health plan works synergistically to promote balance and harmony. Over 70 million Americans experience digestive disorders, according to the National Institute of Health. 70% of the immune system resides in the gut. The human body contains over 3 pounds of probiotic organisms. The gut produces up to 90% of the body's serotonin and every neurotransmitter found in the brain is located in the digestive system. High fructose corn syrup, alcohol, wheat, GMOs, stress, antibiotics, and lack of sleep all negatively affect the beneficial bacteria in the gut. 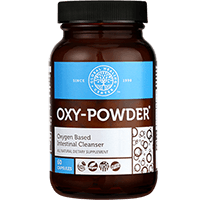 Our most popular product, Oxy-Powder is a powerful intestinal cleanser that releases oxygen into the digestive tract to gently flush toxins and compacted waste. Internal cleansing creates an environment that facilitates beneficial probiotic growth in your gut. Encourages abdominal comfort by relieving gas, bloating, and occasional constipation. Global Healing Center’s organic turmeric extract is high in curcuminoids, natural antioxidants that soothe inflammation brought on by an unhealthy diet. The all-natural formula promotes normal digestive health, relieves gas and bloating, and supports gut health at a cellular level. Global Healing Center Liquid Turmeric Extract extract is high in curcuminoids. A 30-day, body cleansing diet plan carefully designed by Dr. Group and nutritional experts at Global Healing Center to promote gut health. 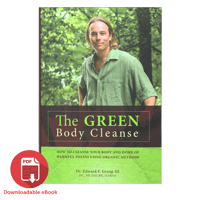 An E-book of Dr. Group’s best-selling book, The Green Body Cleanse. The book reveals the sources of toxins that target the gut and affect your entire well-being. 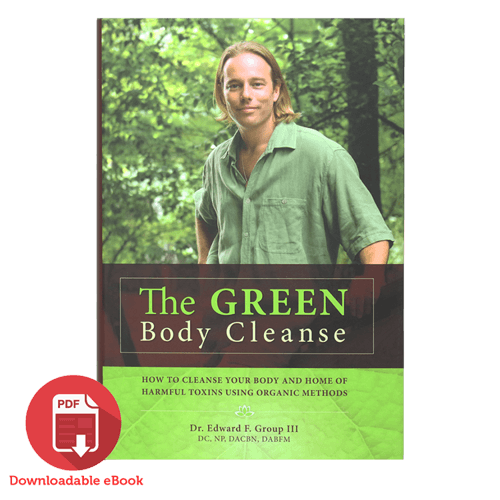 It provides actionable tips and strategies for cleansing your body, living a green life, and achieving optimal gut health. This comprehensive approach to gut health is the first of its kind. Features products made with organic and wild-cultivated herbs. Save money by investing in the kit instead of purchasing each product separately. Our award-winning Customer Satisfaction team is available to answer all of your questions. Backed by a no-questions-asked, money-back Guarantee. Made in the USA from globally sourced ingredients following eco-friendly sustainable manufacturing practices. 1. Why is gut health important? It was Hippocrates who said, "All disease begins in the gut." The opposite is also true—good health begins in the gut. Cultivating a healthy gut is one of the best strategies for promoting overall wellness. Gastrointestinal health and the microbiota affect the entire body. The status of the gut dictates the body’s ability to absorb nutrition, hormone balance, the strength of the immune system, how well the body is able to detoxify itself, and even mental health. Promoting long-term gut health requires a comprehensive strategy to repair, optimize, and maintain. As you begin to achieve balance within your gut, you’ll look and feel better. Many people experience better digestion, increased energy levels, and a better mood. 2. Who should use the Gut Health Kit? If your gut feels weak or out of tune, you feel the effects of an unhealthy diet, your bowel movements are irregular and unsatisfying, or you just want to press the reset button on your insides, the Gut Health Kit can put you on track to experiencing the balance and harmony you desire. We created the Gut Health Kit after receiving feedback from thousands of customers all around the world who were tired of poor gut health. We created a kit that’s simple and easy-to-use. Additionally, our trained Customer Satisfaction Team is standing by to help answer your questions and concerns along the way. 3. Do I need the optional add-ons? The Gut Health Kit is a collection of Global Healing Center’s best gut-support products. They work synergistically to cleanse, strengthen, and reset the gut. Depending on your personal goals, you may find added benefit by including the optional add-ons. 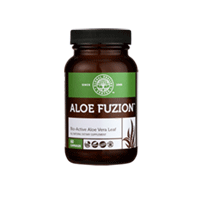 The Gut Health Kit includes Aloe Fuzion to soothe and calm but, depending on your diet, lifestyle, and other personal factors, you may want to maximize your support with Global Healing Center’s organic turmeric extract. Additionally, Bragg’s Organic Raw Apple Cider Vinegar can help the digestive system that needs a boost. Wellness is the product of a lifelong journey, not a single action. Take steps every day to encourage healthy living. Just as your gut affects the rest of your health, a conscious life supports a healthy, normal-functioning gut. Your diet can empower you or it can be the very thing making you sick. Make complete nutrition your number one tool for promoting good health. A daily probiotic supplement is like a multivitamin for your gut. It provides a steady supply of beneficial probiotics that encourage a healthy, efficient microbiota which, in turn, encourages good overall health. You can also add fermented foods like kimchi or kombucha to your diet; they are packed with beneficial bacteria to promote a balanced and harmonious microbiota. Some food should always be avoided. GMOs, sugar, dairy, and gluten, for example, are detrimental to your health. These foods not only harm the helpful probiotics in the gut, but feed the harmful bacteria that upset balance. Toxins, chemicals, and harmful organisms are at the root of many health problems. Although the Gut Health Kit sets the foundation by removing stressors from the digestive system, Global Healing Center also offers a full range of full-body cleansing and detox products. Regular cleansing encourages your body to function at its best and can make you feel fantastic. Get Started Today and Discover How the Gut Health Kit Can Support Your Gut and Digestive Health! 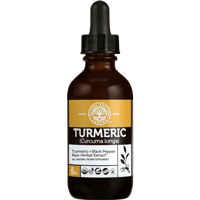 Turmeric Liquid Extract - 2 fluid oz. We have taken the guesswork out of achieving a healthy gut. Follow the step-by-step instructions and you'll see and feel a difference in no time. Follow these instructions once daily for 30 consecutive days while following the 30-day body cleansing diet guidelines and lifestyle recommendations. Take 4 capsules of Oxy-Powder with a full glass of purified water on an empty stomach before bed each night for one week. After 7 days, reduce the frequency of Oxy-Powder to a maintenance serving 2-3 times weekly for the remainder of the 30-day program. You may need to adjust the amount of Oxy-Powder you take to achieve the desired results. Take 2 capsules of VeganZyme twice daily—4 capsules total each day. For best results, take once in the morning and again in the afternoon at mealtime. Take 2 capsules of Floratrex once daily in the morning with purified water. Take 1 capsule of Aloe Fuzion in the morning and 1 in the afternoon—2 capsules total each day. Take 1 serving of Turmeric, approximately 2 droppers, in the morning and 1 serving in the afternoon. What Are Digestive and Systemic Enzymes? The Benefits of Aloe Vera: What Is Acemannan? 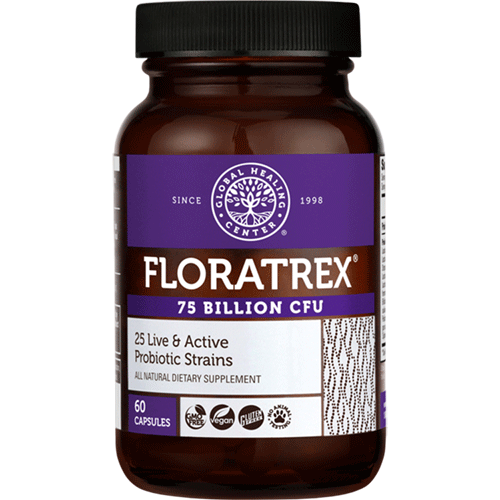 Which Floratrex is included with the Gut Health Kit? Why is Turmeric included as an add-on? Why is Bragg’s Organic Raw Apple Cider Vinegar included as an add-on? How long will the Gut Health Kit take to complete? Does the Gut Health Kit include enough products for two people? What’s the best way to maintain gut health after using the Gut Health Kit? What role do digestive enzymes play in the digestive process? How much Oxy-Powder should I take? Can I purchase the products separately? 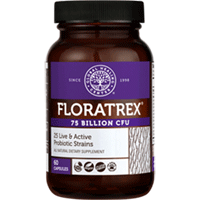 The Gut Health Kit includes the Floratrex advanced formula with 50 Billion CFUs. Turmeric has a history of supporting gut health and digestion. Active compounds in turmeric, like curcumin, provide strong antioxidants that can help soothe and protect the stomach lining and digestive system. Bragg’s Organic Raw Apple Cider Vinegar is well known as a digestive aid and tonic for overall health. Consuming it with distilled water promotes healthy pH levels inside the gut and encourages many other health benefits. The Gut Health Kit is a 30-day program to cleanse and balance the gut and support the digestive system. For best results, follow the instructions as provided to bring balance to your entire digestive system. The Gut Health Kit is designed for one person as a 30-day program. The Gut Health Kit can put you on the right track, but it’s up to you to maintain your progress. After completing the gut health kit, follow a healthy diet that consists of whole, organic fruits and vegetables. Avoid foods that inflame the gut, like refined sugar, GMOs, and artificial ingredients. Realize that your gut is like all other systems in the body and requires complete, high-quality nutrition to function its best. If you don’t get all the nutrients you need from food, a multivitamin or other supplements can fill the gaps. Regularly cleanse your body, especially your colon and liver. A healthy lifestyle is a great start, but it’s nearly impossible to avoid exposure to all environmental toxins. Probiotics are friendly bacteria that live in the gastrointestinal tract where they perform many beneficial functions. Probiotics are best known for assisting the digestive process and facilitating nutrient absorption, especially with hard-to-digest foods, but they also support the immune system, may impact mental health, and more. There are nearly 500 types of bacteria that can reside in the human gut; the most common are Lactobacillus acidophilus and Bifidobacteria bifidum. Floratrex contains a unique combination of 23 health-supporting probiotic strains with prebiotics. All food is comprised of macronutrients like fat, protein, and carbohydrates. Locked within the macronutrients are micronutrients—individual vitamins, minerals, and trace elements. Digestive enzymes are the key that makes them available. Digestive enzymes support the digestive process by breaking down food and releasing nutrients. Different enzymes break down the different components. For example, lipase is an enzyme that breaks down fat, cellulase helps break down plant fibers, and protease breaks down protein. 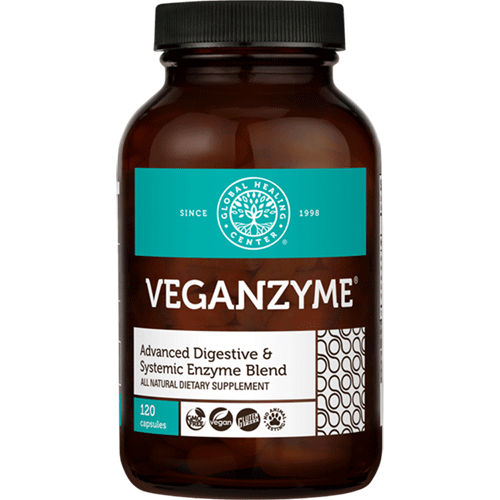 VeganZyme contains a full-spectrum blend of enzymes to make your digestion as efficient as possible. The Gut Health Kit is designed to allow you to adjust your serving of Oxy-Powder according to your needs. The use of Oxy-Powder is different for everyone; you may need to adjust your Oxy-Powder use throughout the cleanse by increasing or decreasing the number of capsules you take for full cleansing and elimination. Some individuals will require the entire bottle of Oxy-Powder to achieve desired results. Others will find satisfaction with fewer capsules. However, it is most likely that the kit contains more capsules than most people will require for the 30-day program. You can save the extra Oxy-Powder for future cleansing or to relieve occasional constipation. You can purchase the products separately, but the Gut Health Kit is priced to provide considerable savings. If you have already purchased one or more of the products separately, you can use them for the Gut Health Kit protocol, simply follow the kit instructions.